Until fairly recently, renewable energy was widely seen as being the welcome future that couldn’t come soon enough. This changed most dramatically, in March 2017, when a coal truckers’ demonstration caused peak-hour traffic mayhem in Pretoria. The cause of the mayhem was the truckers’ hostility to the government’s intention of going ahead with its renewable energy programme. 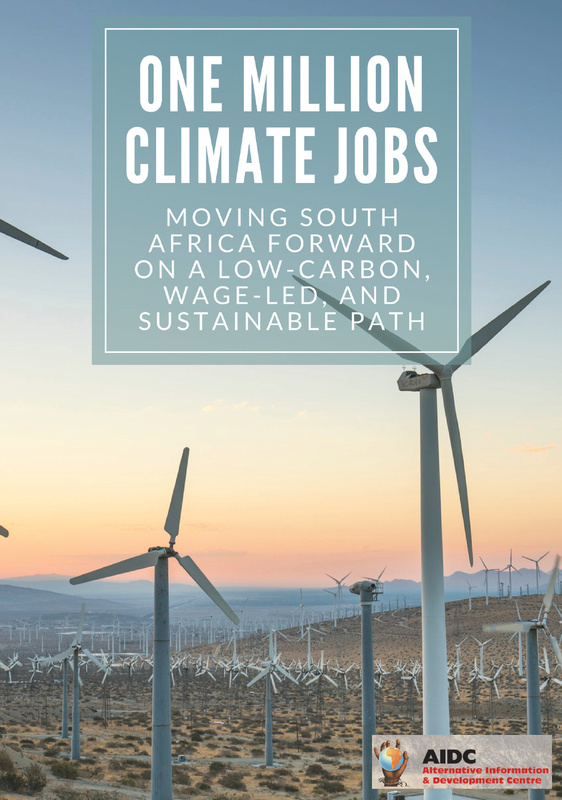 Since then, renewable energy has become a hugely controversial issue, subject to multipronged attack from a wide range of sources, including ministers of Zuma’s government, the (Zuma-era) Eskom, the Coal Transporters Forum, trade unions, trade union federations, academics and civil society (via social media and the radio). Rational debate between the various antagonists has not been possible because of diametrically opposed claims and counterclaims. Yet, a substantial body of basic facts does exist. This article seeks to provide a core of basic information that can, with confidence, be described as incontrovertibly accurate. The article makes no claims beyond this; nor does it take or promote any particular position. Those are matters it leaves for further debate. The format of this article is to present the main claims being made against renewable energy. Each italicised claim will be followed by the briefest possible statement of the actual situation. However, there is first need to point to a common mistake. Both sides of the controversy often conflate renewable energy – technologies using the wind and sun – with the government’s privatisation of renewable energy in the particular form of its renewable energy Independent Power Producers Procurement Programme (REIPPPP). Both the technology and its particular form are open to critique, but it must be clearly understood that they are not the same. This is to say, a critique of REIPPPP does not necessarily reflect on the merits of using renewable energy to generate electricity. Finally, this article expresses no opinion regarding the different forms of ownership to which renewable energy readily lends itself. That, too, is a matter for subsequent debate. This was partially true but is no longer the case. The already contracted REIPPPP consists of four stages covering the four-year period between November 2011 and 2015. During this period, the cost per kWh of solar-derived electricity fell from R3.65 to R0.62; for wind, the cost fell from R1.51 to R0.62. The R0.62 are for projects that are still awaiting Eskom’s formal signature. They are therefore referred to a “new RE”. The cost of “new coal” from the two independent coal producers has been bid at R1.03. The projected costs of the new giant coal-powered stations, Medupi and Kusile, are R1.70 and R1.91 respectively. The cost of existing coal-based electricity excludes a whole range of “externalised” costs, including the health costs of coal-polluted air. These latter costs, just for solid particles and liquid droplets found in the air from Eskom’s coal-fired power stations, include: some 2,239 equivalent deaths a year; 21,782 asthma and bronchitis cases in a year; 2,379 equivalent hospital admissions per year; 996,628 lost working days, and 3,972,902 days of restricted activities. Insofar as a cost can be attached to these afflictions, the estimated total is $2.37-billion a year. 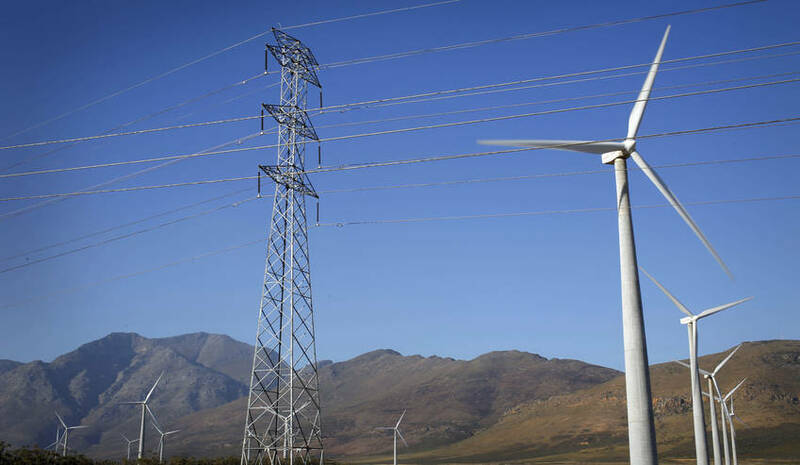 Former Minister of Public Enterprises, Lynne Brown, said in 2017 that meeting Eskom’s environmental compliance obligations would cost about R340-billion. Eskom relies largely on cost arguments in an attempt to justify its seeking of various postponements (in many cases, effectively exemptions) of compliance from the minimum emission standards (MES) set in terms of the Air Quality Act. Its intention is to be no more than 57% compliant with South Africa’s lax MES by 2025. The “externalised” costs of coal fired power plants on for example health and the environment are often forgotten. This is not the case. The National Energy Regulator South Africa (Nersa) has allowed these increased costs to be passed on to consumers as part of Eskom’s tariff increases. In other words, Eskom bears no direct renewable energy costs. It has been set out above that new renewable energy is substantially cheaper than new coal-fired power. Nersa does not accept this argument. In its 180-page explanation, in March 2018, of why Eskom’s most recent request for a tariff increase of 19.9% was substantially reduced to 5.23%, it points to Eskom’s historic inaccuracies in forecasting sales volumes as well as its operation and investment inefficiencies. Nersa addresses these inefficiencies by disallowing historical cost overruns of R72.3-billion associated with Kusile, Medupi and the Ingula Pumped Storage Scheme. Nersa drew additional attention to a range of Eskom’s problematic employment practices. In the 2007 financial year, for instance, Eskom produced 239 ,109 gigawatt hours (GWh) of electricity with 32 ,954 employees, an average of 7.26GWh per employee. Eskom is now producing 216 ,771GWh with 39, 186 employees, which is 5.3GWh per employee. Although not said by Nersa, nepotism, patronage and “cadre deployment” (all legitimised by transformation and affirmative action requirements) play a major part in this context. Furthermore, Nersa highlights bonus payments to senior managers, “despite the decrease in its sales volumes and low profit”. Finally, Nersa identified Eskom’s previously allowed primary energy costs as a major problem. It accordingly reduced coal usage costs by R10-billion and energy from independent power producers by R7.6-billion. 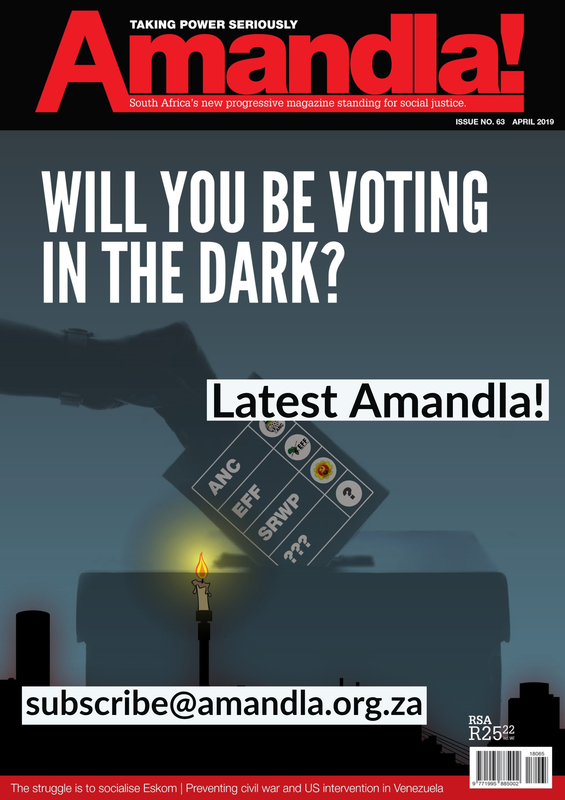 The post-Zuma Eskom no longer accepts the arguments of the Zuma-era Eskom. This can be inferred from the new Energy Minister, Jeff Radebe’s, announcement on 8 March 2018 that Eskom now supports the government’s much delayed final approval of the 27 renewable energy developments. If renewable energy is so wonderful, why doesn’t it compete with Eskom? The answer is simple: The law prevents it from doing so. The law gives Eskom a monopoly over everything other than the tiniest of individual, household electricity generation. Moreover, these small, rooftop solar-based generators are already beginning to threaten Eskom’s demand forecasts. It is true that Eskom now has the capacity to produce more electricity than it can sell. But the government is eagerly supporting even more coal-based – rather than renewable energy based – capacity. This is demonstrated by its undisguised support for the Thabametsi & Khanyisa IPP coal-fired power stations. Moreover, the question is whether a climate-friendly surplus of renewable energy is a problem or blessing? Nersa’s answer is to subject Eskom to heavy criticism based on what it calls Eskom’s “death spiral”: Faced with a constant decline in its sales, yet having to achieve its projected revenue, Eskom increases its tariffs, which result in an even sharper decline in sales, which leads to Eskom wanting even further increases in its allowed tariffs and so on. It is this vicious cycle that produces what Eskom chooses to call an ever increasing “surplus”. There are three main reasons for declining sales. First, the unreliability of Eskom’s supply (including periods of actual power cuts) resulting in incentives for large-scale users to find alternate energy sources. Second, Eskom’s increasingly expensive electricity – an increase of over 440%, since 2008 – coincides with increasingly cheap renewable energy. These two points result in large energy users choosing renewable energy to save their costs at Eskom’s expense. Third, energy-efficiency technologies, plus changing individual behaviours, contribute towards a declining energy demand. Nersa’s critique of Eskom’s “death spiral” points to another and neglected “market” for electricity. If, rather than increasing prices, Eskom cut its price, the very large number of workers and the poor would immediately be able to buy more electricity and, thereby, increase the demand and, hence, Eskom’s revenue. The very logic of Nersa’s critique underscores this much neglected need to better distribute what would then be affordable electricity to the majority of South Africans. Contrary to the widespread impression of Eskom being crushed by a huge renewable energy industry, the 27 projects still awaiting government approval represent a mere 1.5% of electricity supply; combined with existing renewable energy plants, the total comes to just under 5% of the national electricity supply. Between 30,000 to 1 million workers will lose their coal-station jobs because of renewable energy. (The claimed loss of 1 million permanent jobs was made by the Coal Transporters Forum in its Founding Affidavit presented at the Pretoria High Court on 21 June 2017). It should be noted that a sustainable, domestic renewable energy industry will almost certainly create a large number of permanent jobs. These jobs – projected to number some 250,000 – will be found mainly in the manufacturing sector, rather than in construction and maintenance. Although the global economy continued to grow during the past decade or so (as measured by GDP), demand for energy – the entire energy mix – has remained constant, according to thePresentation by Hilton Trollip, Energy Research Centre, University of Cape Town, Eskom Round Table, Alternative Information & Development Centre, 14 February 2018. A combination of increasing costs plus widespread energy efficiencies and energy awareness is responsible for the stagnant demand. Stagnant demand, together with the increasingly rapid uptake of cheap renewable energy, is a very real threat to coal in particular. This is manifested by the closure of coal mines in the US, notwithstanding President Trump’s strident efforts to support the coal industry. This same process is beginning to unfold in South Africa. Unlike the claims referred to above, this point represents a real – though still developing – threat to jobs. This development is almost certainly unstoppable. Shumi Mudavanhu, an intern at the Alternative Information & Development Centre (AIDC), is also an M.Phil student at the Sustainability Institute, Stellenbosch University. Jeff Rudin is a Research Associate at AIDC. This Renewable Energy Fact Sheet has been published by the Daily Maverick here.